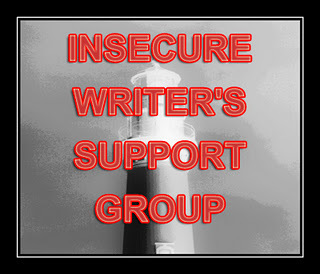 Alex Cavanaugh runs a writing support group off his own blog, which works in a similar fashion as ROW80 – you sign up using a Mr Linky widget from the post, and commit to providing a blog post towards the theme – for the Insecure Writer’s Support Group this is a commitment of writing about writing every first Wednesday of the month. As with ROW80, this facility allows me to browse around the web, following all those links on the Mr Linky widget to read of other writer’s posts. As this is a support group, I also hope that some of my own monthly posts might find a few helpful comments along the way. Writing is a tough and lonely business, and having someone – anyone – on board, and understanding some of the emotions you may be going through – sounds brilliant to me. Although I’ve found myself sounding blase about my lack of work in progress this week (see yesterday’s ROW80 checkin post), deep down there is something niggling at me. This morning I’ve spent a little time going around the blog posts in the ROW80 checkin, and finding that I’m not the only one who has had an insanely busy week – which is contrarily not productive in the writing stakes. I put this down to the silly season, and the fact that my own time is now not all my own – my daughter is home from school for her long school holidays. Being an only child, and reasonably young, she needs somebody around all the time to push her into doing something. For the next few weeks I’m working on goal setting as a lifetime work, for her. We are doing all kinds of activity sheets, mindmaps, treasure maps, storyboards, and reading together to help her define what she wants out of her next year – and life possibly. It’s a good reminder of my own goals also, with the New Year looming. But I have very little time where I can just sit down, away from her interuptions, just for an hour a day, and I feel both resentful of this, and guilty for feeling that resentment towards her being here. And guilty for not changing my routine to get in some dedicated writing time away somewhere (midnight?). I know I have to learn from this, that there are particular times in any year where I’m just not going to have the time to work on my fiction or anything else longer-winded. But that small niggly guilt over making choices between my daughter and my own personal time – that’s a kicker. Wow. Way to go with your daughter, teaching her goals and planning like that. My mother did the same but I know a lot of people who were forced to just pick it up as they went along.